It is a general norm that you have to sign up with an online casino before you can enjoy all it has to offer. Players will be asked to provide their real names, username and password, address, phone numbers, email address and date of birth. All players must be above 18 years to register successfully. An email will be sent to your account requesting that you confirm your registration. As soon as this is done, you can start enjoying all that Springbok Casino has to offer. However, you must make your first deposit. All the players whose registration are successful will receive a welcome package after they have successfully registered and made the required minimum amount. A new player can get as much as R11500 as a welcome package. This is so because, for each deposit you make, there is a bonus attached to it. All deposits must be made in South African Rand. Players will also have to make use of a coupon to claim their welcome bonus package. After you have made your deposit, go to cashier section and click on “Redeem Coupon”. Instantly, your bonus will be credited to your account. Players can also get up to R250 bonus referred to as “Test Us Free Bonus”. All you have to do is copy the coupon on their website and enter it and click “Redeem coupon”. Players have over 300 games to enjoy. 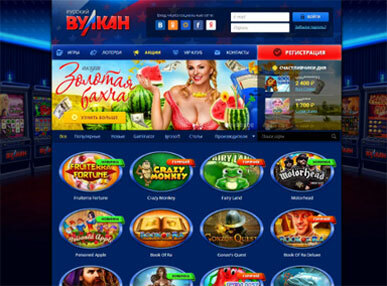 They include different types of roulette, table, slot and live casino to play. These games can be played on any Android device, smartphone, or tablet. You can also use your PC browser to enjoy the fun. New games are added after a while. This simply means that is something for everyone. Each game in Springbok Casino offers several bonuses and promotion. The more you play, the more hope of winning big. A player can also choose to download Springbok Casino app and enjoy every moment on their mobile device. The process is quick and simple. You can use either of the payment methods listed above to either withdraw or deposit. However, players are not allowed to withdraw their bonuses except certain wagering conditions are fulfilled. Springbok Casino has one of the best customer service agents. They respond to issues within a short time and also provide satisfying solutions. They have a live agent on their website who is always ready to respond to your plight. They are also active on social media. You can reach them at any time including weekends and holidays. You can contact them via their Facebook page, Twitter handles YouTube or Google plus. A player can also contact them via their email address or a phone number. For more details please visit their website.